Easy to wear, a delight to knit, and beautiful finishing techniques to explore. 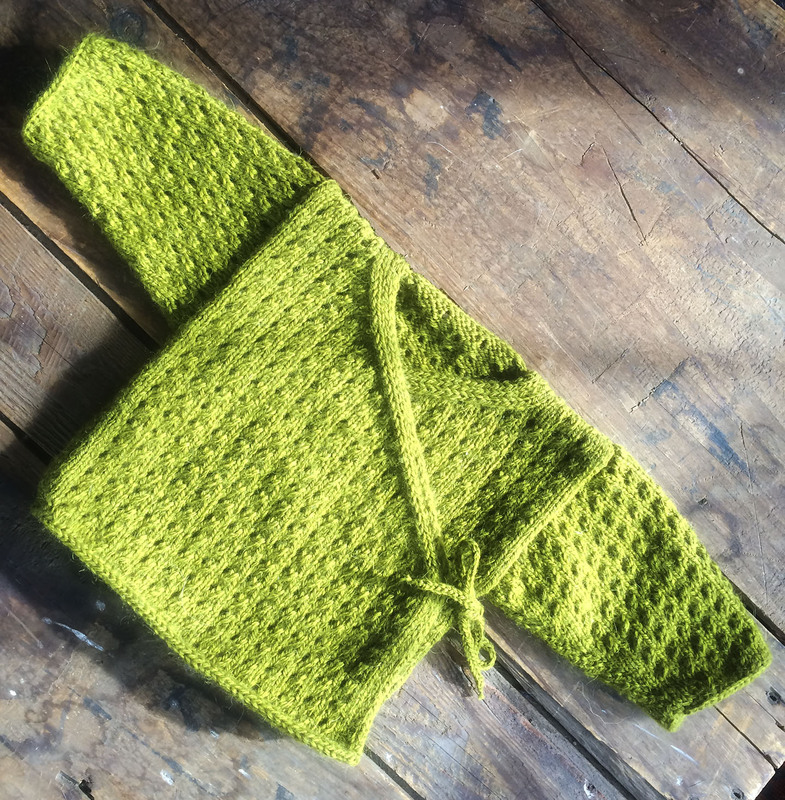 I set out to design the pattern for this Eyelet Baby Kimono with a number of objectives in mind: I wanted an easy wear garment with beautiful finishing details. 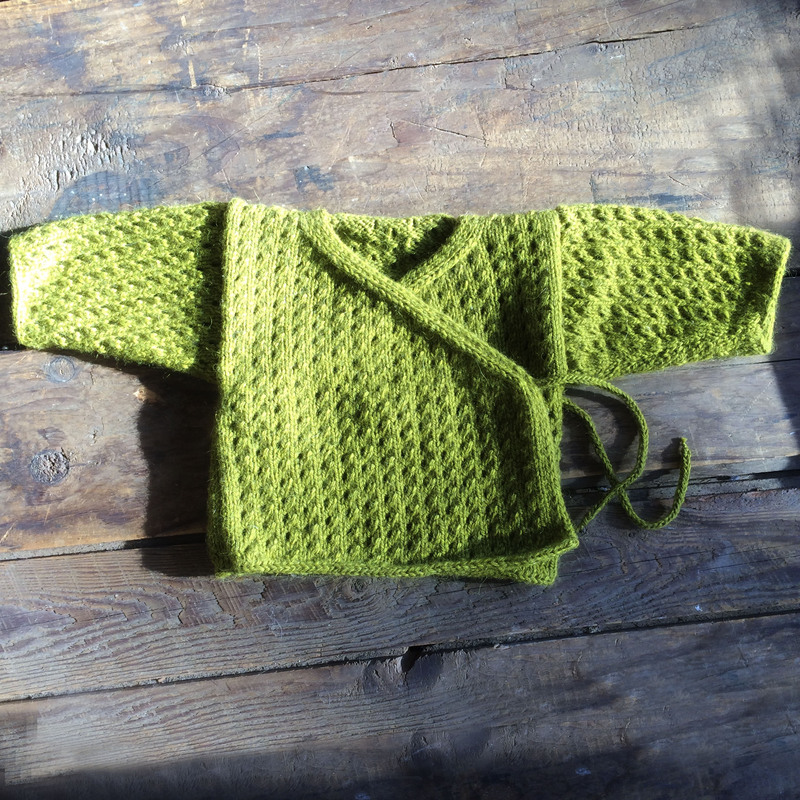 This type of wrap sweater is extremely versatile with rapidly growing tykes. There is lots of flexibility within each size to either tighten up or let loose the side ties to perfectly adjust around tummies. For a very fine and substantial finish to each edge of the completed piece a variety of I-cord techniques are used to best effect. Skill Level: Intermediate Knitters will do fine with this. 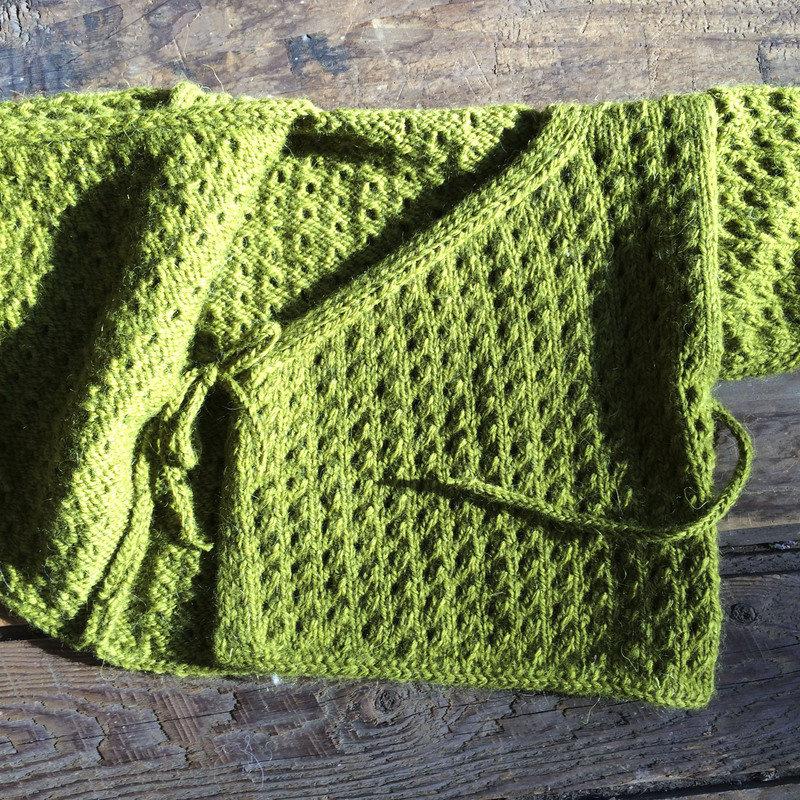 There is some intuitive knitting skills needed to maintain the eyelet patterns along increase and decrease edges. Size 6 US knitting needles.